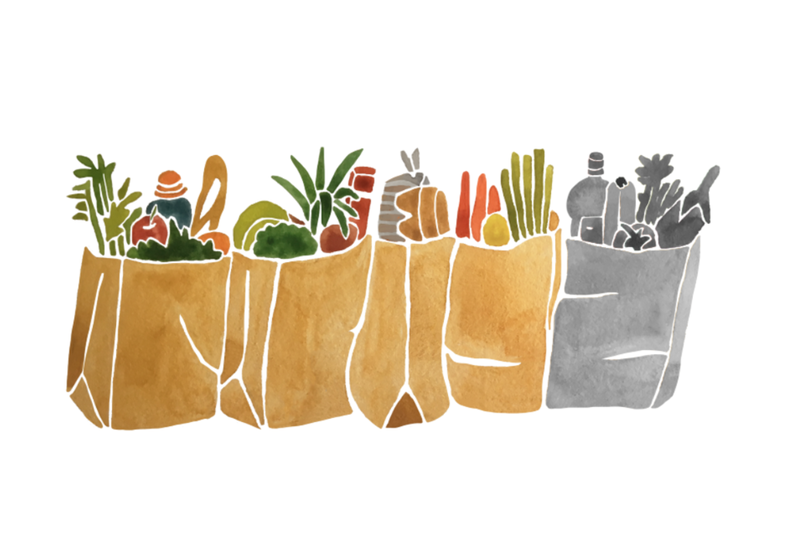 I really enjoyed doing these water colour illustrations for the food waste infographic. Being aware of how our actions impact the environment is something I'm really passionate about and I hope we can all be more conscious of how our every day behaviours make a profound impact on our planet. People seem to use the earth like it's one of the many disposable, convenient products on the market these days. Something that you can just take from and then dispose of without any thought or consequences. 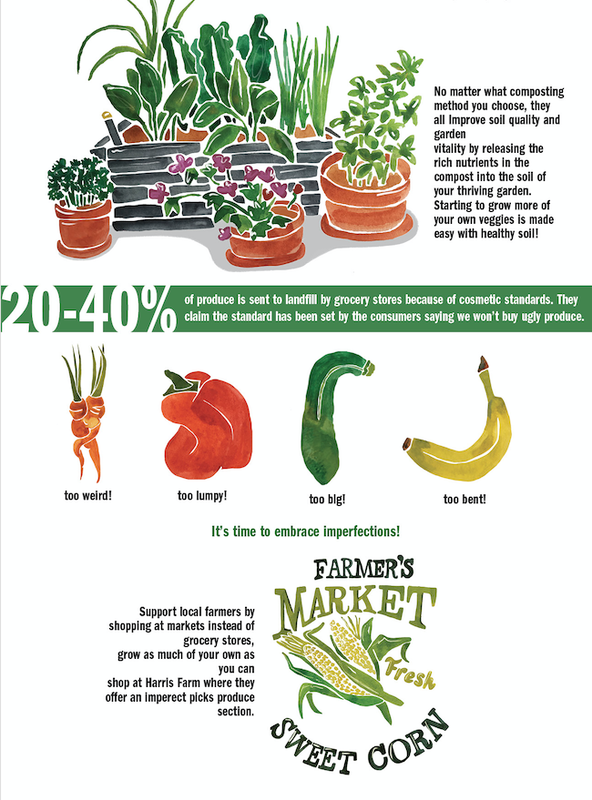 Food waste is a huge problem that we can all easily do a little bit better at. I really enjoyed figuring out the layout and design elements that would best suit the illustrations and information, deciding to go for a long and thin layout which I think works well. We are so lucky to live in a place where we have access to as much beautiful and nutritious food as we want. Let's honour that by paying more attention to our actions surrounding food. Bon Apetit and thanks for reading. 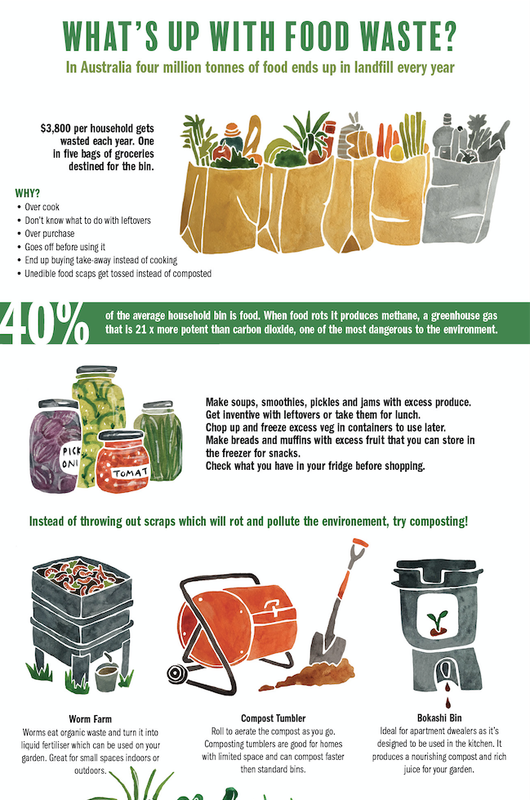 Check out the War on Waste series for a more in-depth look into food waste!